Apple's secretive handset is becoming less shrouded in mystery by the day. We're fairly confident that the iPhone 6 will launch in September, but the exact date in September remains under wraps. Previously September 19 was rumoured, but a new rumour points to September 25 for the launch, following an announcement on September 15. This latest claim comes from 'inside sources' picked up by various Chinese media outlets and spotted by G4Games. The sources claim that China will be one of the first places to get the phone, but not necessarily the very first, so even if it's right it's still possible that the iPhone 6 will launch on September 19 in some regions. As well as a possible release date the sources also reveal the supposed Chinese pricing of the handset. The 4.7-inch model will apparently start at 5,288 yuan (around £496, US$851.20 and AU$910.87), which lines up with previous pricing rumours for a 32GB model of the handset. 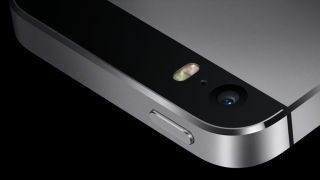 The 16GB model of the 5.5-inch model may retail for 5998 yuan (roughly £563, US$965.49 and AU$1033.17). Of course in both cases the final price over here is likely to be higher once VAT has been added. Interestingly the larger model will apparently be called the iPhone Air, which would certainly differentiate it from the smaller handset, but also suggests that it's slim and light for its size. That could actually add up as a previous leak suggested that the 5.5-inch iPhone would come in at a sleek 6.7mm thick, while the 4.7-inch model would be a slightly thicker 7mm. With the iPhone 6 likely months away the iPhone 5S is still worth buying.